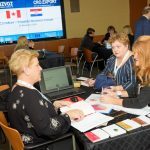 The Croatian Chamber of Economy (https://www.hgk.hr/) and the Canadian-Croatian Chamber of Commerce (https://croat.ca/) co-organized the third Croatian trade mission to Canada with stops in Toronto and Kitchener-Waterloo. 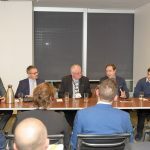 A business forum, including a number of presentations and individual B2B meetings among Croatian and Canadian companies, was hosted during the day at the Ontario Investment and Trade Centre in Toronto. Addresses to the Croatian business delegation included presentations by Mr. Cameron Sinclair, Assistant Deputy Minister, Ministry of Economic Development, Job Creation and Trade; Mr. Jose A Santoyo, Director, Trade & Investment Services Office, World Trade Centre Toronto; and representatives of the Ministry of Economic Development, Job Creation and Trade. 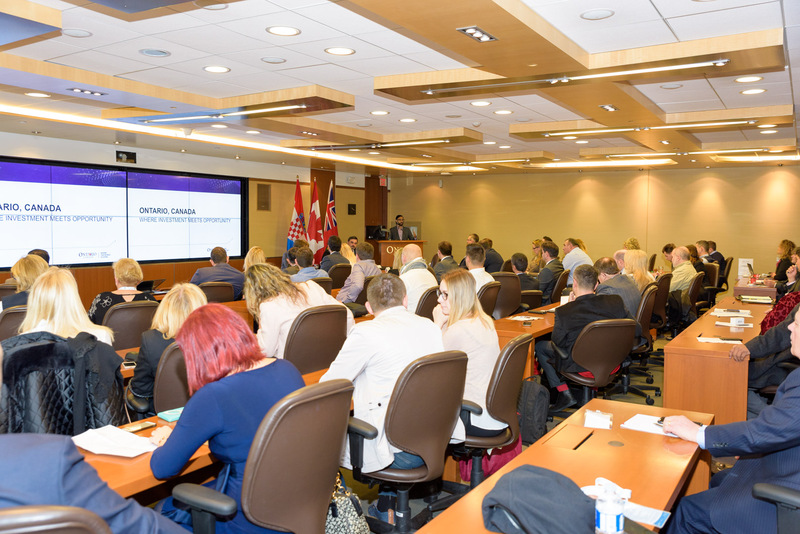 Canadian participants also had the opportunity to learn about business and investment opportunities as well as the current business climate in Croatia, presented by Mr. Domagoj Maček, Senior Adviser, International and EU Affairs Sector, CCE and Mr. Bojan Batinić, Chief Strategy Officer for Strategic Investment Projects, Investment and Competitiveness Agency. The Canadian Ambassador to Zagreb, Daniel Maksymiuk and the Croatian Ambassador to Ottawa, Marica Zorica Matković were part of the delegation, which included over twenty companies (primarily focused on IT, food sector and cosmetics) and was led by Ivan Barbarić, Vice President for International Affairs and EU of the Croatian Chamber of Economy. 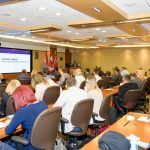 The day session was followed by an event hosted by the Canadian-Croatian Chamber of Commerce, Stikeman Elliot LLP and MNP LLP, which was attended by the Croatian delegation and members of the Croatian and Canadian business community. 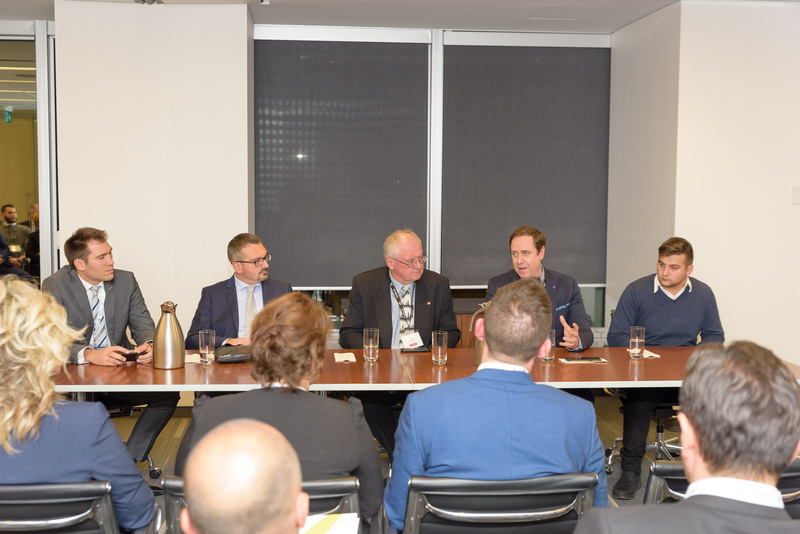 The evening commenced with a panel discussion themed “Accessing the Canadian Market”, with representation from the Canadian government, Croatian government, the Croatian Chamber of Economy, prominent Canadian businesses and Croatian businesses looking to build relationships in Canada. Following the panel discussion, participants attended a networking reception catered by Dalma Catering, which provided an opportunity for those in attendance to interact and share information, advice and knowledge as they seek to establish mutually beneficial relationships. It’s important to continue working together and connecting business people from Canada and Croatia in order to expand and strengthen the business network and help open doors to business between the two countries. We also look forward to continued collaboration between Croats in Croatia and those living abroad.